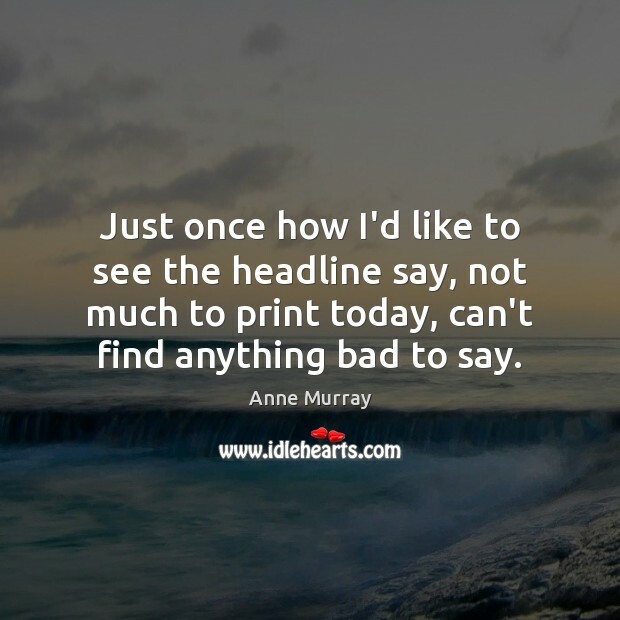 Enjoy the best inspirational, motivational, positive, funny and famous quotes by Anne Murray. Use words and picture quotations to push forward and inspire you keep going in life! 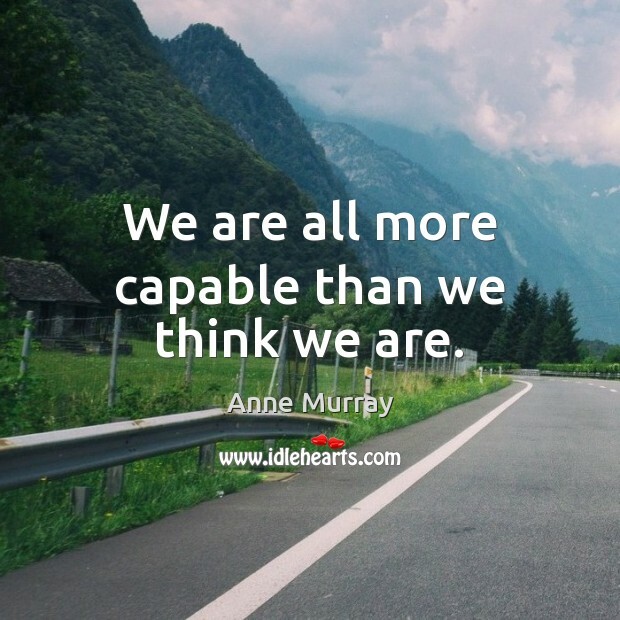 We are all more capable than we think we are. Just once how I'd like to see the headline say, not much to print today, can't find anything bad to say. I sold my soul, you brought it back for me. 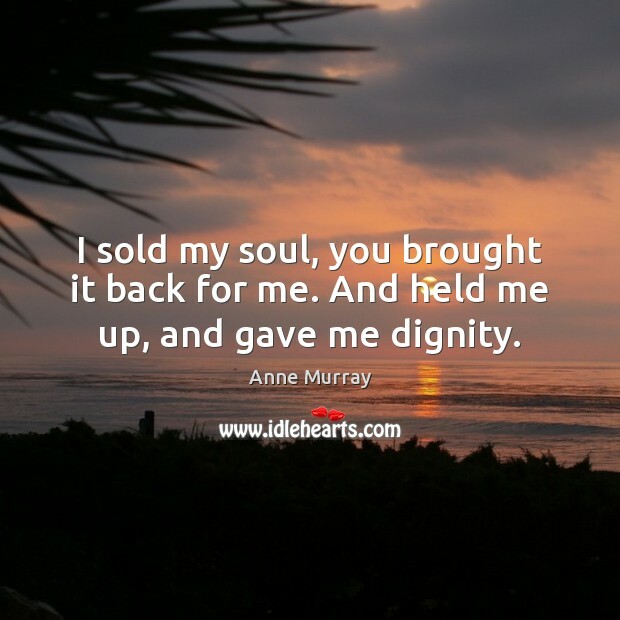 And held me up, and gave me dignity.